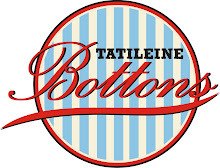 Tatileine Bottons: ENCOMENDA! FOI PARA FORTALEZA ( CE)! ENCOMENDA! FOI PARA FORTALEZA ( CE)! ENCOMENDA! FOI PARA TAMBAÚ ( SP)! ENCOMENDA! FOI PARA PORTO ALEGRE ( RS)! ENCOMENDA! FOI PARA RECIFE (PE)!